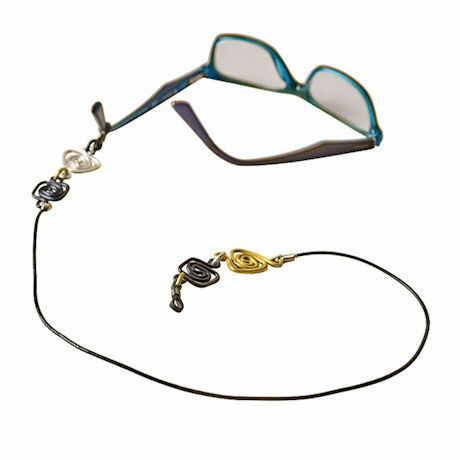 How many times a day do you find yourself looking for your reading glasses? 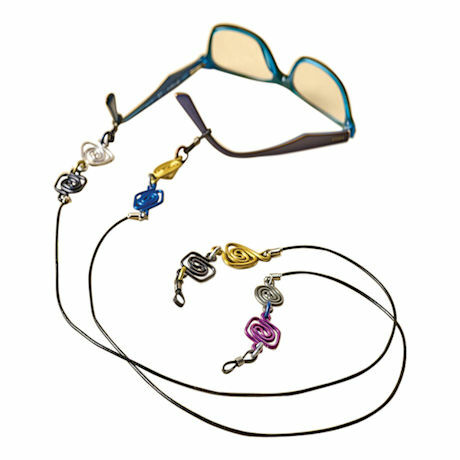 With our extraordinary chain, your will not only be at your finger-tips, but they look like a work of art as well. 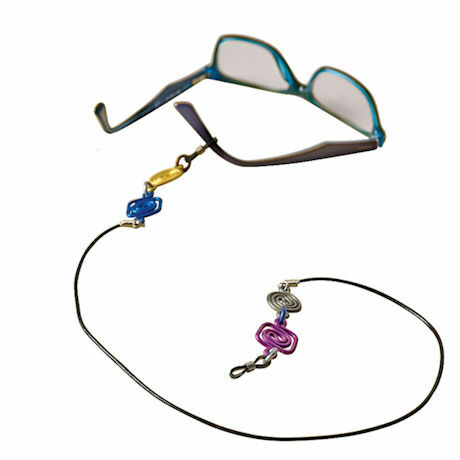 Richly colored anodized aluminum is handcrafted in eclectic designs and secured to leather cording; eyeglasses holder has rubber grips to keep glasses secure. USA. 27"L. Choose Tweed (gold, blue, sage and magenta) or Ebony (silver, black, pewter and gold).